James Harden stayed true to himself, got away from the Kardashian madness and now just might be the best player on the planet. Lost in the juggernaut that is Russell Westbrook, Harden putting up one of the most efficient offensive seasons in the history of the league. 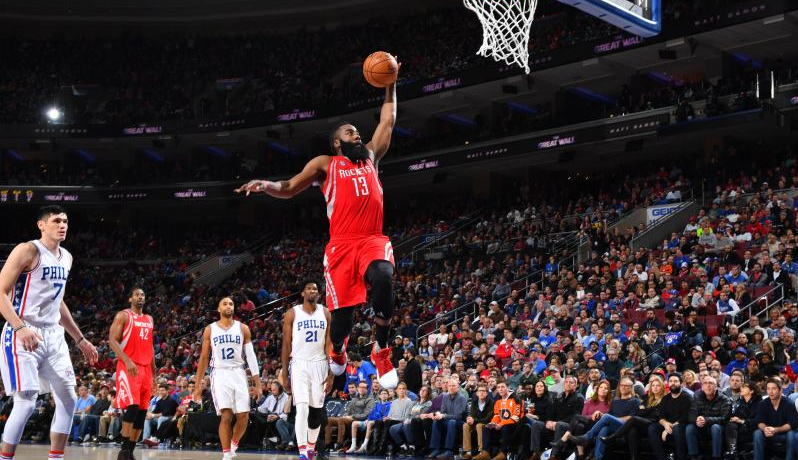 Harden posted a triple-double with 50 or more points for the second time this season in a 123-118 victory over the Philadelphia 76ers. It was a game where The Beard became Allen Iverson for one night at the Wells Fargo Center. In a historic 39 minutes of action, Harden dropped 51 points, 13 rebounds and dished out 13 assists for his 14th triple-double of the season and 24th of his career. Harden is the first player to have at least 50 in a game and with a triple-double on two separate occasions in the same season. Five of those 14 triple-doubles also had point totals of 40 or more points, which ties the legendary Oscar Robertson (1963-64) for the record. Harden has the Houston Rockets roaring, and his performance overshadowed a 32-point, seven-rebound and four-assist performance from Joel Embiid.